Marvel Super Heroes are set to assemble in a world of a very different kind, with LEGO Marvel Super Heroes having been announced for an autumn 2013 release. Confirmed for the Wii U, Nintendo 3DS and Nintendo DS, it will see Nick Fury call upon Iron Man, the Hulk, Thor, Spider-Man, Wolverine and other heroes spanning the Marvel Universe to save Earth from such threats as the vengeance of Loki and the hunger of Galactus, Devourer of the Worlds. Over 100 characters from the Marvel universe can be unlocked, with the game incorporating the normal concoction of character abilities, action sequences, puzzles and that LEGO humour that we all love. 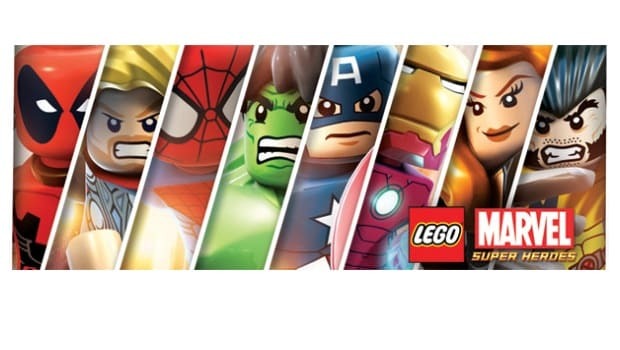 “We’re very excited to bring a myriad of classic Marvel characters to life in LEGO form for some fun, family-friendly gameplay in LEGO Marvel Super Heroes,” comments Tom Stone, managing director of TT Games Publishing. Marvel Entertainment vice president of games production TQ Jefferson adds, “Fans of both LEGO and Marvel have wanted this game for years, and we’re addressing that demand with more Marvel Universe characters than ever in a console game.